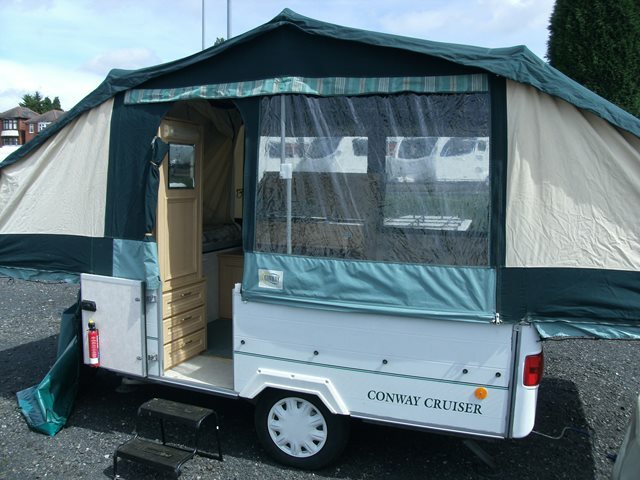 This Conway folding camper features two double beds, a seating area which converts to another double and a kitchen area with fridge, gas hobs and grill. It also comes with an awning for even greater space. For any further information please contact a member of the sales team on 01384 636465. This folding camper is currently on display so come and check it out!